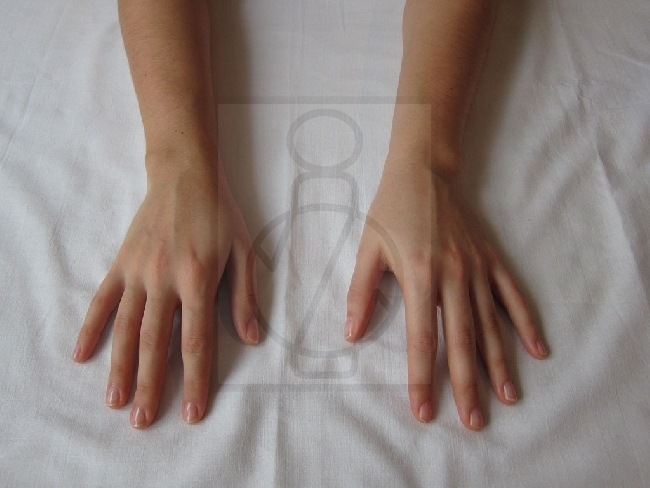 Exercises following exercises after the wrist fracture - beginners. 15. 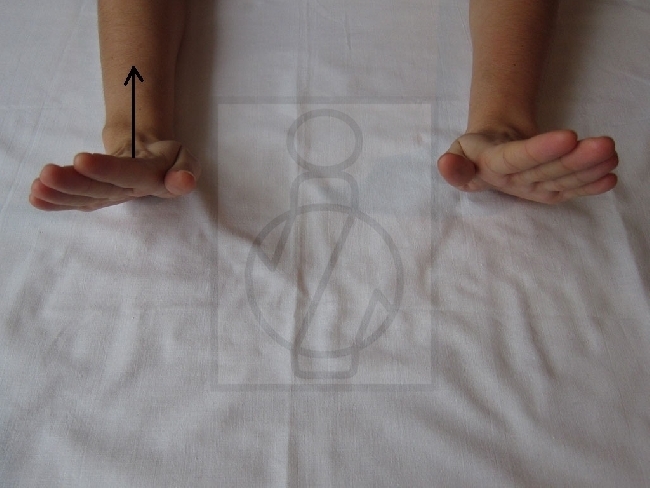 From the initial position - 15A perform a movement in the wrist so that the fingers are pointing towards the ceiling - 15B. Try to bend the hand at the wrist to the greatest possible angle. 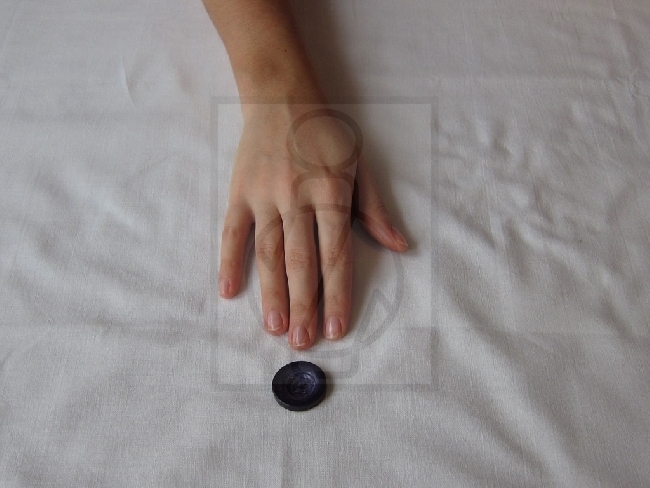 Return back to the initial position - 15A, make a move in the wrist to your little finger - 15C. Back to the initial position - 15A, make a move to the thumb - 15D. Repeat the series, exercises 15A to 15D, 5 to 10 times. 16. 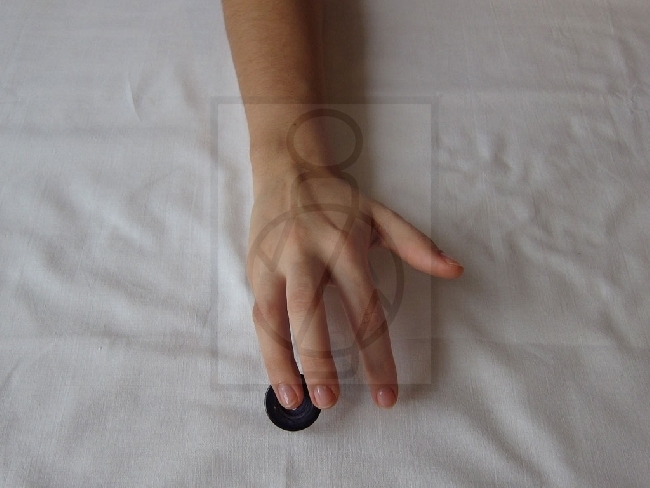 Initial position - 16A, turn the hand and forearm so the palm faces up - 16B. When rotating the swing movement is performed, repeat several times in a row, thumb is dragged down to the desk when palm is turned up. 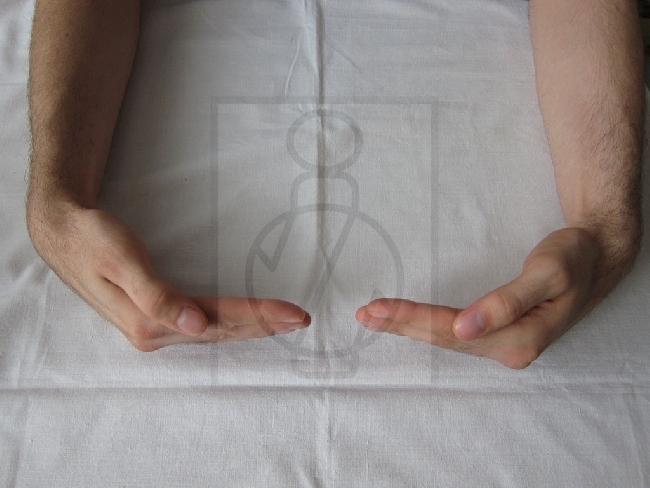 Especially in this exercise, you shall exercise both hands simultaneously – also the healthy one. 17. 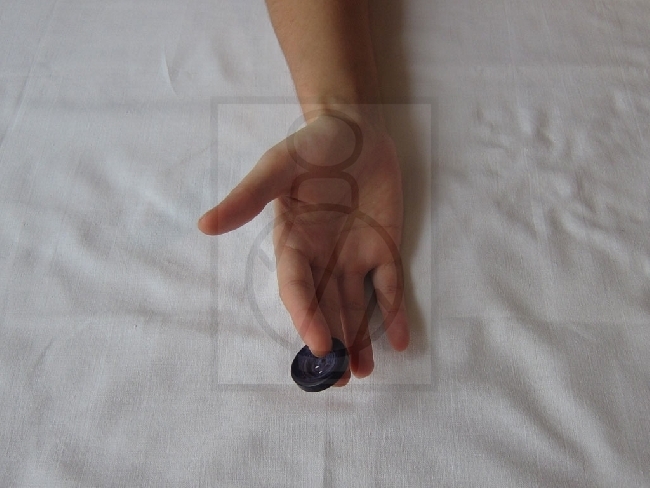 Initial position - put your hands on the table so that the forearm with the hand was placed on the side - on the edge of little finger - 17A. 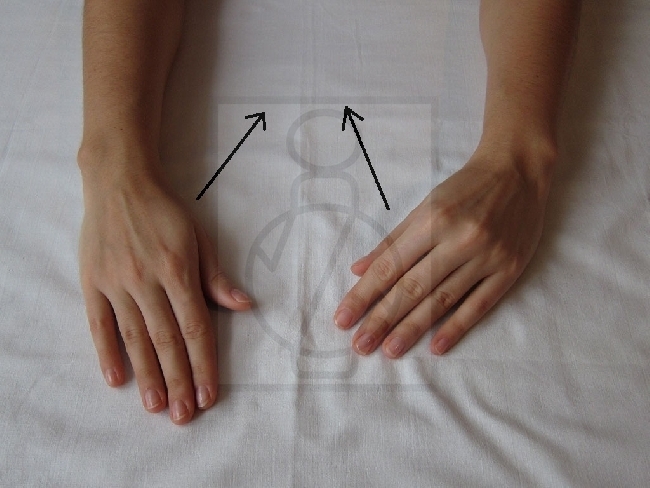 Make a move in the carpal joint so that the hand and forearm are at right angle (to create a canopy) - 17B. 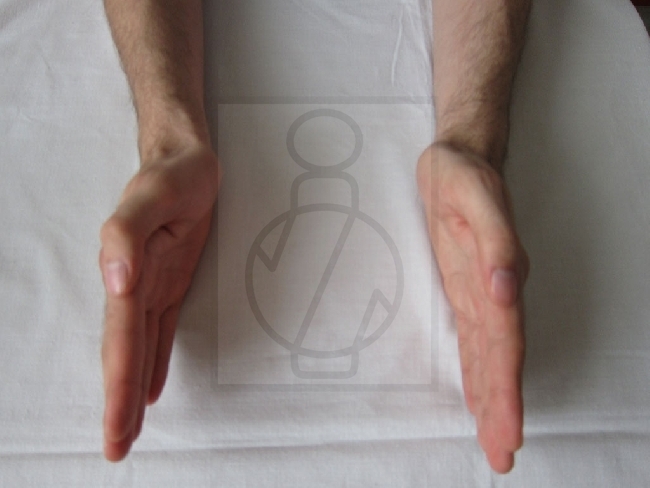 Back to the initial position - 17A, bend the arm at the wrist to the opposite side - 17C. Repeat 5 times. 18. 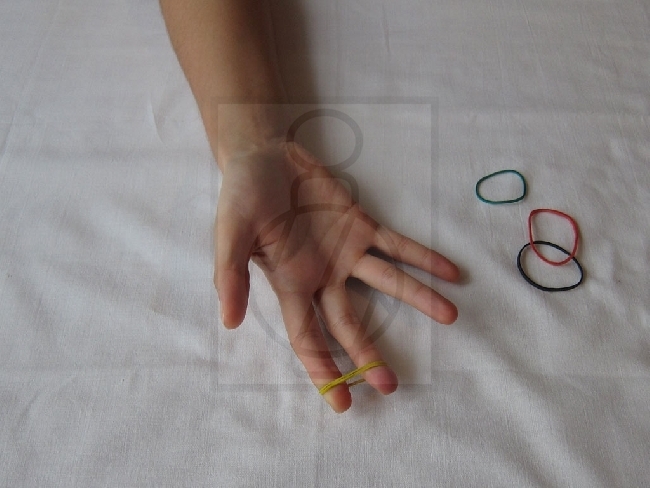 Exercises to strengthen the fingers against resistance of hair rubber bands. Put the rubber band on middle finger and fore - 18A. Fingers apart, the rubber band is stretched- 18B and release. Repeat 5 times. All fingers should be exercised, always two neighboring fingers. 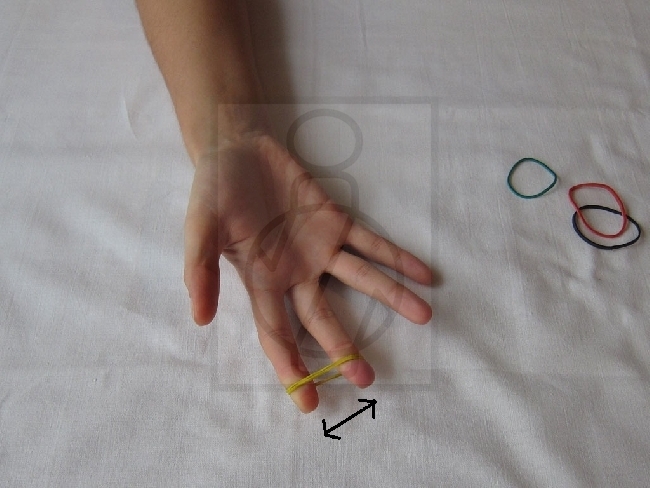 To increase the resistance of rubber bands, multiply their number. 19. 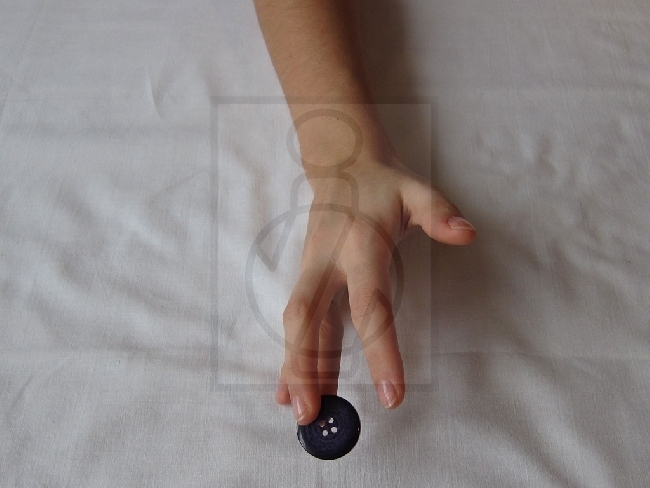 Exercise to improve fine motor skills of stiff and clumsy fingers. 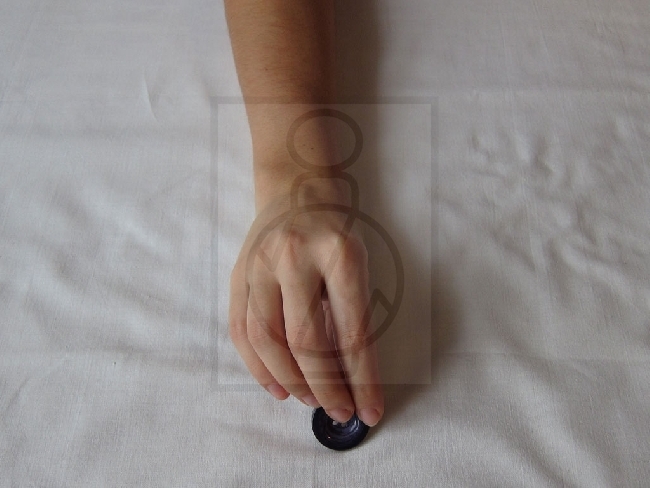 Grasp a button - 19A and rotate it - 19B, roll it between the fingers - 19C, and move it to the middle finger - 19D, and then roll the button back. Repeat 5 to 10 times. 20. Hands on the table so that the forearm with elbows, wrists and fingers were put on the table. Curl the towel and firmly grasp it in both hands. Use both hands to make a move, like if you wanted to tear the towel - 20A. Movement should not be interrupted. 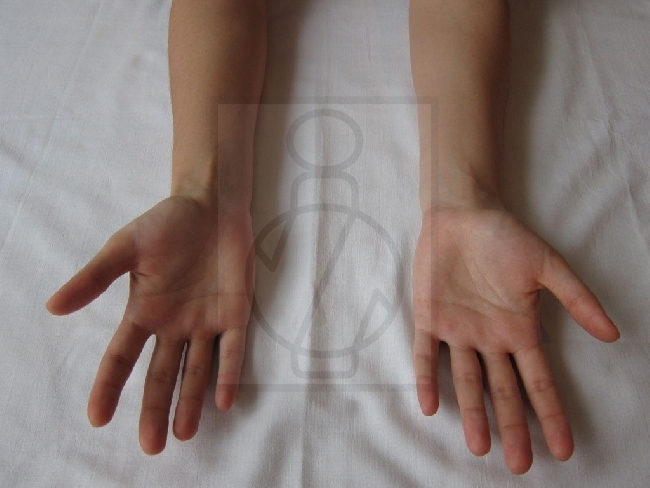 It must be smooth and move of healthy hand adapts and gradually increases with increasing muscular power of the affected limb. 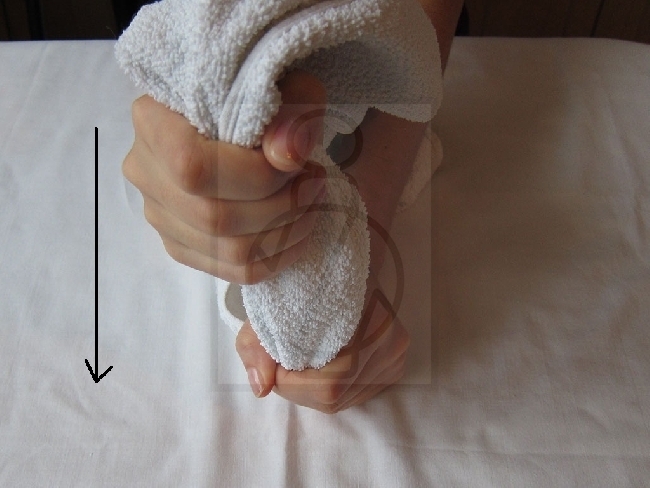 20B - grab a towel in such a way that you pull it from affected limb from the side of middle finger , 20C - turn your hand so you pull the towel from thumb's side. 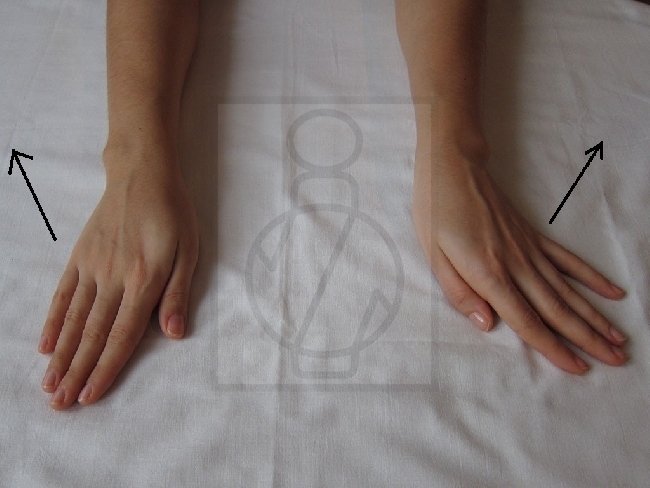 Affected hand holds towel firmly, healthy hand gradually adjust the pull and, when appropriate, increases it with increasing muscular power of the affected limb. We are not trying to “beat“ affected hand. 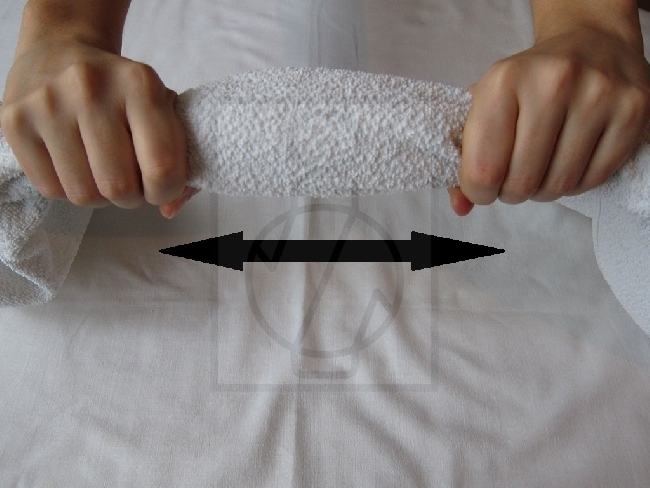 20D – twist, wring the dry towel, firmly grips it.